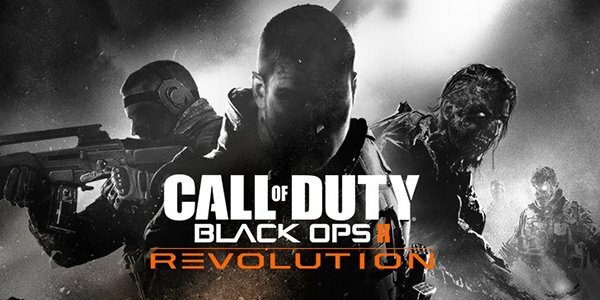 The first Call of Duty: Black Ops II DLC pack, Revolution, is going live tomorrow on January 29th for Xbox Live Gold members. There is still no word on an official PlayStation 3 and PC release date, but information should be coming soon. It is an easy choice to dismiss DLC packs as simply map packs, but there is something to say about how the Revolution content pack is shaping up. Treyarch has come up with content that diversifies what it offers. Rather than simply acting as a map add-on, the team decided to present gamers with a mixed bag of multiplayer goodness. All together fans can expect four brand new maps, an entirely new zombie co-op map, a brand new zombie game mode, and an additional weapon. Jumping into the new maps will prove an interesting experience for players. The Hydro map features a dynamic spillway that floods killing anyone in the wave of destruction. Mirage pits players against each other in the Gobi desert, and allows cunning players to use the newly stacked sand dunes to their advantage. If you’re a skateboarding fan, then Grind will be right up your alley as you fight for supremacy of a Venice Beach skate park. The last of the maps, Downhill, is set in the French Alps, so snipers better gear up. If that’s not enough for you, then the brand new Zombie mode, Turned, will surely give you something to gnaw on. For the first time ever players will be able to play as an actual zombie, and what’s better than that? For a full breakdown of all the Revolution content check out the developer commentary below. Xbox Live players will be able to pick up the Call of Duty: Black Ops II Revolution DLC for 1200 Microsoft Points tomorrow. Remember the content is free if you already purchased a season pass, so be sure to pick it up and let us know what you think of the content in the comments! Check back soon for our full review!